Custom-built, laser-tuned drivers are housed inside computer-optimized dual acoustic chambers. The result is a wide-open soundstage and a remarkable level of detail in all your music. The detachable cable is designed to reduce tangling and friction so that you can focus on the music and nothing else. Custom-built, laser-tuned drivers are housed inside computer-optimized dual acoustic chambers. The result is a wide-open soundstage and a remarkable level of detail in all your music. 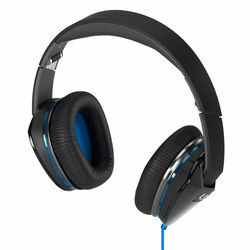 The detachable cable is designed to reduce tangling and friction so that you can focus on the music and nothing else. Product will be delivered for all urban areas serviceable by major courier agencies.For remote /rural areas the product will be sent by local couriers /Indian Speed Post and may take little more time.